The reasoning for this decadeslong, bipartisan restriction is clear and straightforward. These organizations say they provide a public good like education, health care, welfare, religious services and the like. As long as they provide such goods, the government does not tax them and allows for other tax-deductible benefits. Also, those donating to these organizations can deduct their contributions from their own taxes. The IRS thus misses two opportunities for revenue. Moreover, unlike other 501(c)(3) organizations, places of worship and their integrated auxiliaries do not have to file a tax return with the IRS. This part of the tax code also exempts these religious organizations from filing a Form 990, the legal document that reports “executive compensation” and other expenditures. Americans effectively subsidize these religious groups, and do so without requiring evidence as to where the groups’ money comes from and where it goes. The repeal of the Johnson Amendment, or its nonenforcement, means places of worship can, under the guise of charity or “religious freedom,” become venues for unlimited, tax-deductible political donations. All three branches of government have long determined that partisan politics has no place in these organizations due to the fiscal benefits they are granted. 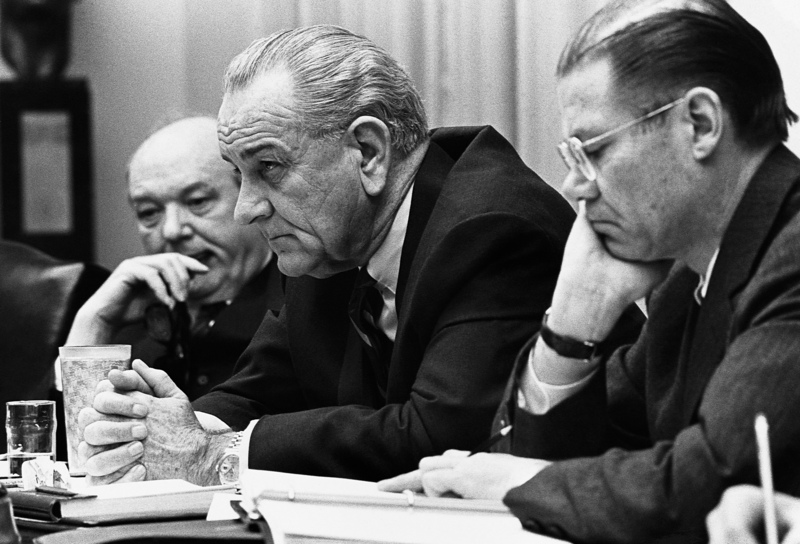 In 1987, the Treasury Department and Congress under President Ronald Reagan strongly supported congressional reaffirmation and strengthening of the Johnson Amendment. Four years prior, the Supreme Court with conservative Chef Justice William Rehnquist unanimously decided that the prohibition violates neither Americans’ rights to free speech nor to equal protection. All branches have been clear: nonprofits can be tax-exempt or engage in explicit political activity; they cannot do both. No bias exists against or in favor of any group or type of organization. For over 60 years, all branches essentially agreed that the political activities prohibition is the least restrictive means of ensuring the integrity of the relationship between such organizations and American democracy. Times have certainly changed. Since 2010, there has been increasing pressure to repeal the Johnson Amendment. The Christian, conservative Alliance Defending Freedom began challenging the amendment through the Pulpit Freedom Initiative, which urges Protestant ministers to protest the statue by violating its guidelines. Organizations like the Alliance, the First Liberty Institute, the American Center for Law and Justice, and their thousands of supporting churches argue the amendment violates their religious freedom by infringing upon their right to free speech. This is not the case. All places of worship and their related organizations can say what they want, but they can neither advocate for or against a politician, nor a specific piece of legislation, and retain their tax-exempt status. Doing so violates the First Amendment’s Establishment Clause (among others) that specifically declares the U.S. government cannot favor one religion over another or favor religion in general. Moreover, as Chief Justice Rehnquist wrote, the Supreme Court rejected the “notion that First Amendment rights are somehow not fully realized unless they are subsidized by the State.” He asserted that this is a basic element of constitutional law upheld numerous times by the Supreme Court. The religious, conservative right purposely conflates religious freedom, free speech and tax-exemption. The Court later also asserted — with Rehnquist, Justice Thomas, and other conservative justices joining — that neither Congress nor other branches of government can “enforce a constitutional right by changing what the right is.” That we are even having this discussion points to the extent and depth to which the conservative agenda — a patient, pro-active, long-term goal to change the legal and political infrastructure of our country — has succeeded. Why advocate against the Johnson Amendment? “Men of god,” like Pat Robertson, Robert Jeffress, leaders of the Alliance Defending Freedom, and others do not seek to repeal the Johnson Amendment to gain free speech but rather to advocate for a more politically homogenous America. Repeal supporter Pastor Chuck Baldwin, whose Liberty Church Project does not have tax-exempt status, recently told his followers, “Liberal pastors from a variety of Christian denominations promote their socialist agenda from the pulpits of their churches all of the time!” To Baldwin, these alleged left-wing traitors and cowards of America unite with the “radically opposing faith systems” of Judaism, Islam, Hinduism, and “even pagan religions, … [to] promote their particular agendas contained in their sacred texts,” which are from countries and cultures outside the U.S. Despite making these assertions, Jeffress declares he does not have “the freedom to be able to speak [his] beliefs” because “left-wing groups” threaten him and his IRS exemption. Further, he supported Trump’s candidacy and maintained the tax-exempt status of his church. Robertson, Graham and Jerry Falwell Jr. also retain their organizations’ tax-exempt status. They are thus able to continue propagating the idea that they know what is best for America while being subsidized by the very people they oppose. The aggressive, religious conservatism reshaping America by conflating religious freedom and free speech largely targets minorities. These are mostly non-Christian, immigrant and LGBTQIA communities. Religious and political party affiliation appears to correlate when it comes to views of minorities, particularly Muslims. The pulpits of the religious freedom movement combine with the influx of money from other like-minded organizations to influence our political and legal systems to produce a chilling effect on the ability of these communities to be “at home” in America and American institutions. Sikhs should not have to sue the Army at this point in history to obtain “religious accommodation” to serve America. Yet, this is precisely what Iknoor Singh had to do to gain entry into the Reserve Officer Training Corps (ROTC) at Hofstra University. Singh does not cut his hair or trim his beard and wears a turban, all of which the Army claimed breach the grooming standards of the military that seeks to instill uniformity, unit cohesion, morale, good order and discipline. 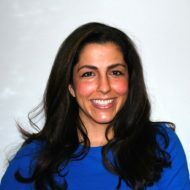 The American Civil Liberties Union (ACLU) and United Sikhs countered, among other points, that the Army has previously allowed other Sikhs to serve with religious accommodation to the grooming standard, as well as thousands of men needing exceptions to the grooming requirements because of skin conditions. 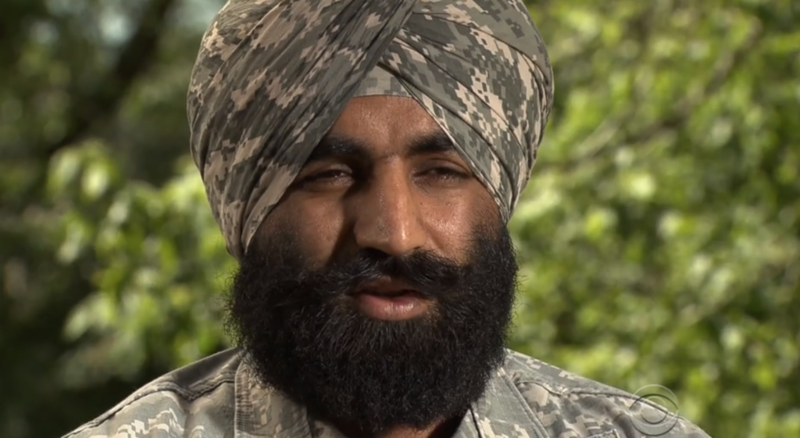 Singh is neither the first nor last Sikh to sue the Army or other institution of the Department of Defense (DoD). Last year, for instance, Captain Simratpal Singh (a Ranger-qualified, Bronze Star Army member) sued the DoD for violating his rights to free speech and to freely practice his religion, among other rights. He also sought religious accommodation to the grooming requirements in accord with a 2009 directive. Due to this suit and its settlement, the DoD issued a more accommodating policy. But directives and decisions by the DoD did not stop the Citadel — a public feeder school for the U.S. military — from denying an incoming Muslim cadet’s request to wear her hijab. Marginalizing religious and immigrant communities goes beyond denying religious dress to include local government officials illegally limiting minority businesses. In St. Louis, Missouri, for example, the mayor of North County denied Mohammed Almuttan a license to expand his laundromat business despite having fulfilled licensing requirements. After nearly a year of the mayor insisting on additional requirements, Almuttan sued the city based on religious and racial discrimination, citing, among other evidence, the police chief’s affidavit attesting to animus on the part of the mayor and city aldermen. Excusing or minimizing violence against minorities is another way religious and immigrant communities are marginalized. For instance, in June, a 17-year-old Muslim teenager was killed after leaving her mosque in Ramadan. The Fairfax County Virginia Police categorized the motive for the murder as simply “road rage.” But reports indicate that the hijab-wearing victim and her killer “got into a dispute” at a fast-food restaurant and that the killer then followed the victim and her friends. In contrast to the police, the victim’s parents insist that the perpetrator’s issue with their daughter stemmed from his animus against Islam. In a similar incident in Chapel Hill, N.C, in 2015, authorities there did not bring hate crime charges against a neighbor charged with murdering three Muslim university students. Instead, they said the murders arose from a “parking dispute.” As evidenced by the recent murders in Portland and attacks elsewhere, religious minorities are facing a wave of hatred. The government cannot participate in nor fan the fires of this vitriol. This means speaking out against such attacks but also eliminating funding for programs or groups that engage in questionable ethical and legal behavior when it comes to specific religious minorities. A politically and legally balanced government is one that inspires trust and reduces fear. This is part one of a two-part series. Part two will explore how the religious right can be fought to save the Johnson Amendment.